Springtime food scraps bring summer givebacks! 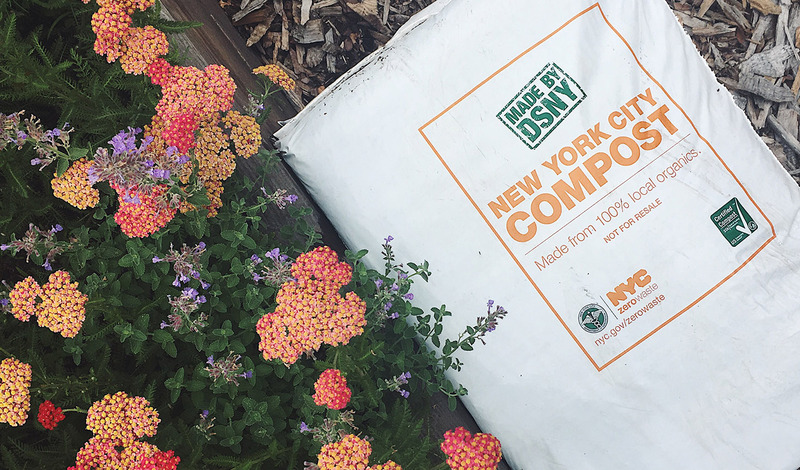 Thanks to you, GrowNYC has collected more than 11 million pounds of food scraps that have been transformed into compost to nourish NYC green spaces--including yours! Check out our July giveback schedule and bring your own container to one of GrowNYC's food scrap drop-off locations to take all the compost you can use. First come first served, while supplies last. There’s nothing like coming out of the cavernous Union Square subway station to a canopy of tree branches covered in spring blossoms, the tents of the Greenmarket visible just beyond. 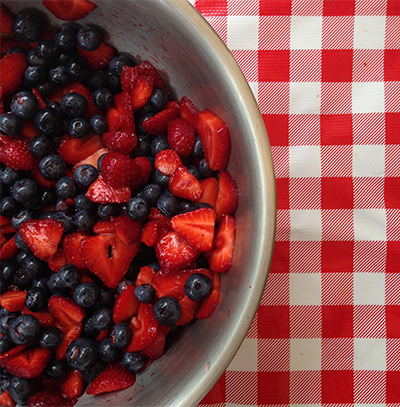 And then there’s the smell…strawberries. Now you can make one of these delicious strawberry recipes! 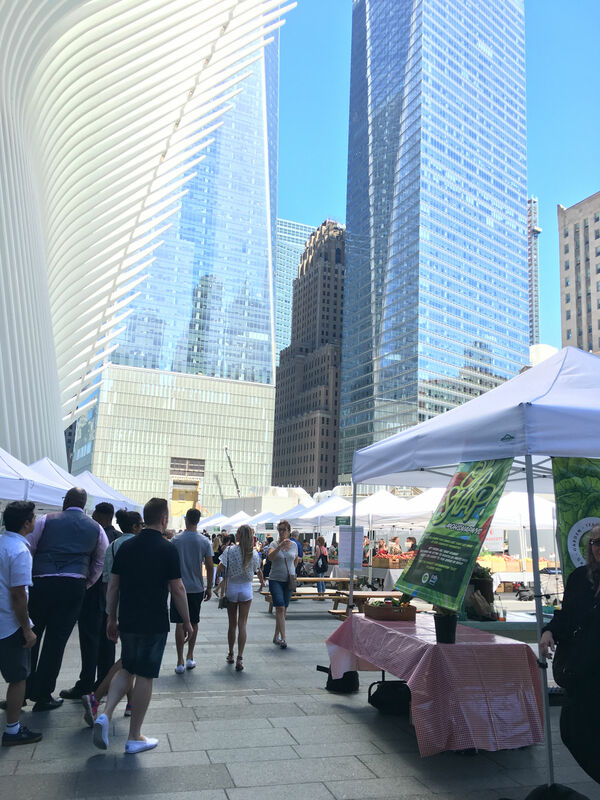 As you may know, Greenmarkets don’t just provide fresh fruits and vegetables, meat, dairy, fish, and baked goods—they also serve as sustainability centers, enabling New Yorkers to join the effort to protect the environment. 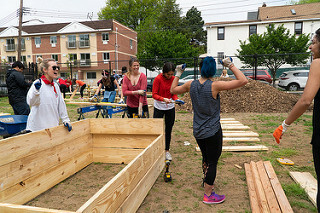 Most Greenmarkets collect food scraps for composting and textiles for recycling, as well as provide pop-up environmental education opportunities. 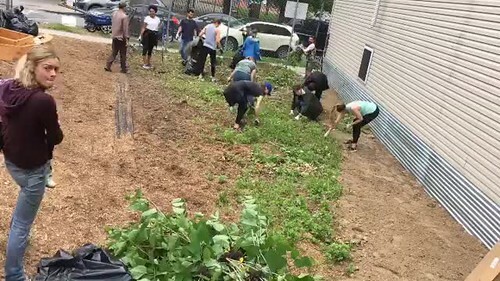 It’s your support that helps ensure that New Yorkers have access to fresh food, as well as recycling and educational opportunities at Greenmarkets. Make your donation today to keep Greenmarkets running strong! And next time you walk through your local Greenmarket, say hello to the market manager working hard to ensure your market is a true resource for the neighborhood. Read more about Strawberries Are Here! Kick off the first day of summer with CIDER! 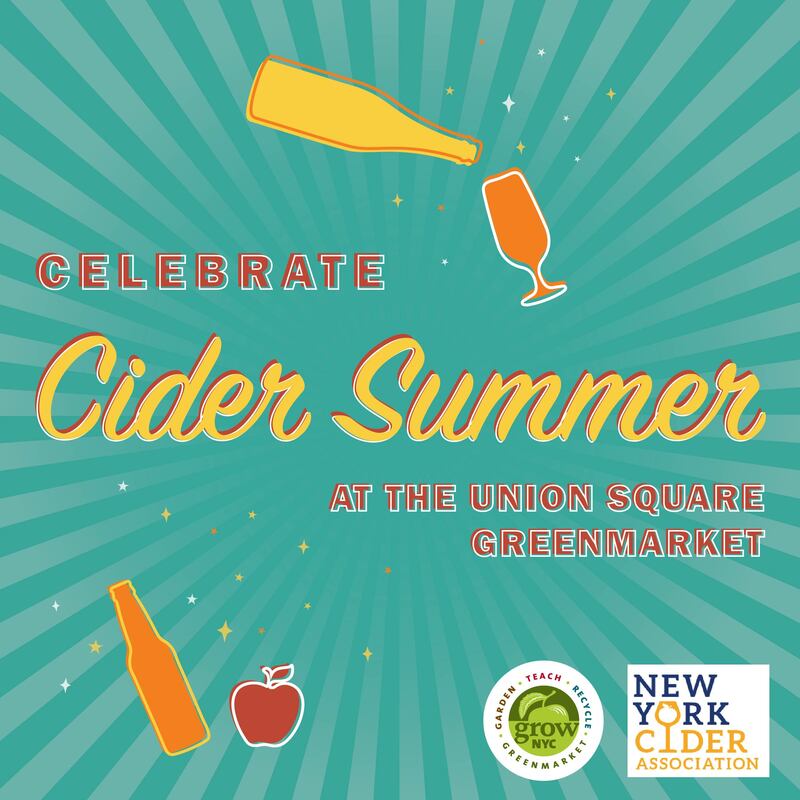 Seven New York State hard cider producers are coming to the Union Square Greenmarket to show off their apple-y libations at our Cider Summer event. Come on out and meet your new favorite hard cider. 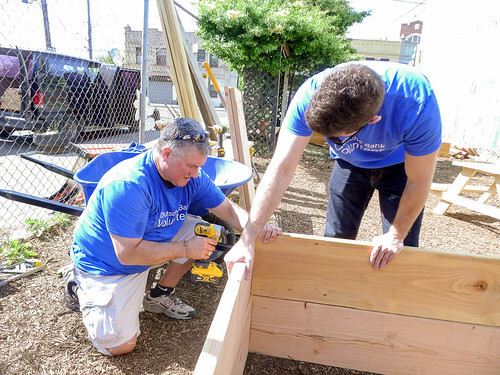 This spring, GrowNYC's garden program has been busy doing what we do best: building new gardens! 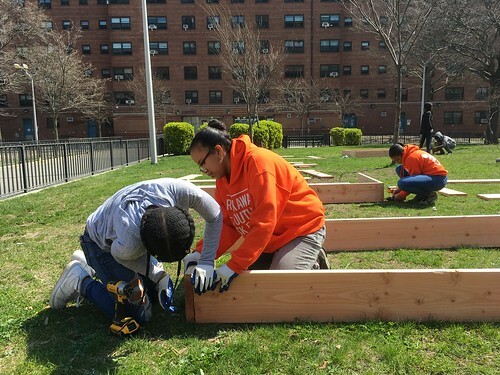 We've started work on 6 new community gardens in the Bronx, Brooklyn, and Queens, including four sites in close partnership with NYC Parks Green Thumb. It’s happening! Farmers market season is finally here, and this month we’re opening 15 seasonal GrowNYC Greenmarkets for our farmers to offer their bounty of delicious, local products throughout NYC. Here’s the list of Greenmarkets opening in June. Check out individual market webpages for information about upcoming activities such as guest chefs, kids programming, and book signings. Every market has free recipes and cooking demonstrations! All GrowNYC Greenmarkets accept SNAP, and for every $5 a customer spends using SNAP, s/he receives one $2 Health Buck coupon to spend at the farmers market. We’re on Instagram, Twitter, Facebook, and Pinterest. Follow us for up-to-date market news. Read more about Summer Greenmarkets Now Open!